Mihrigul Tursun claims that she was subjected to torture, brainwashing and inhumane living conditions during her detainment in one of China’s detainment camps. 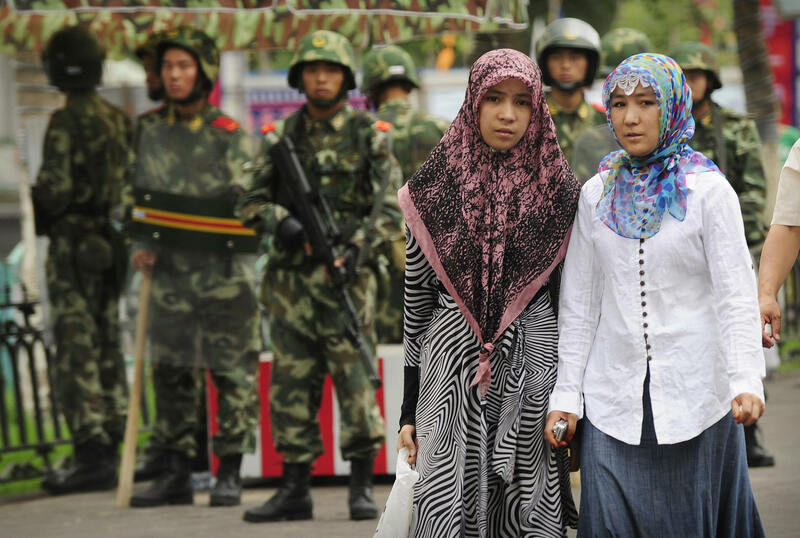 The camps are intended to reform Uighur Muslims and other cultural minorities to abandon their religion and language and conform to the Communist Party’s vision of Chinese culture. A Uighur Muslim woman described to reporters Monday the torture and abuse she suffered in a Chinese government-sanctioned internment camp designed to “re-educate” Muslims. “I thought that I would rather die than go through this torture and begged them to kill me,” Tursun said, according to The Associated Press. Chinese authorities arrested her the first time when she returned to China with her husband and triplets from studying English in Egypt, Tursun said. She was detained for three months, during which one of her children died and the other two fell sick and required medical operations. Authorities arrested her a second time two years later, and arrested her again several months after that. Tursun claimed that during her third incarceration she was forced to stay in a cramped cell with 60 other women for three months in an internment camp. The women had to take turns sleeping in what space they had, go to the bathroom in front of surveillance cameras, and were forced to take unknown medications including a white liquid substance that stopped menstruation in some women and caused others to bleed and a pill that caused them to faint. She and the other inmates were also forced to sing songs in praise of China’s Communist Party. She claimed that nine of the 60 inmates died during her three-month incarceration. Camp authorities also reportedly tortured her with electric shocks. “The authorities put a helmet-like thing on my head, and each time I was electrocuted, my whole body would shake violently and I would feel the pain in my veins,” she said. “I don’t remember the rest. White foam came out of my mouth, and I began to lose consciousness. The last word I heard them saying is that you being an Uighur is a crime,” she added. After her release, authorities told Tursun that she must return to China after taking her children to Egypt. Instead, she contacted U.S. authorities in after reaching Cairo and then came to the U.S. in September. She now lives in Virginia. China denied the existence of these camps until October, when Beijing claimed that the camps were merely “vocational training centers.” Over 270 scholars from 26 countries denounced in the camps in a joint statement Monday and urged China to end their torturous practices. “Reports from eyewitnesses have noted malnourishment and severe psychological distress among the detainees, and some report detainees being forcibly given psychiatric drugs. In some cases, shoelaces and belts are confiscated, due to the prevalence of self-harm and suicide. Those who do not fully participate in political reeducation are often subjected to beatings, solitary confinement, and forms of religious and psychological violation,” the statement reads. “There have been numerous reports of deaths in the centers, particularly among the elderly and infirm, but also of younger people who were in good health when they were taken. While there are frequent reports of more people entering the camps, there are very few reports of those being released,” it adds. The U.S. State Department has also denounced the camps and called on China to cease its violations of human rights.